Things are getting very interesting when it comes to which player the New York Giants are going to take in the NFL Draft. For awhile, it seemed like there was a consensus choice. Dwayne Haskins Jr. looked like a right fit and it looked like the quarterback position was a need. Even if Eli Manning can play this year, after all, the Giants will eventually need to make a change at the position in the future. And no team wants to go into a situation like that without having a successor already in waiting. It looked like Haskins could be that player but in the past week or so there’s been more reports coming out saying that teams aren’t as interested in Haskins as they were before, immediately following the college season. It was last week that NFL.com analyst Lance Zierlein, after all, reported that the interest in Haskins might be more from the media side. But that’s not stopping Haskins from coming to visit with the Giants. He’s not the only quarterback that the team has worked out. They’ve taken a look at multiple options and have already had Heisman winner Kyler Murray, perhaps the main competition for Haskins, at their facilities. Other players at the position to meet with the Giants include Penn State quarterback Trace McSorley and Duke quarterback Daniel Jones, the latter of which was recently mocked to the Giants by Yahoo as their second pick in the first round. 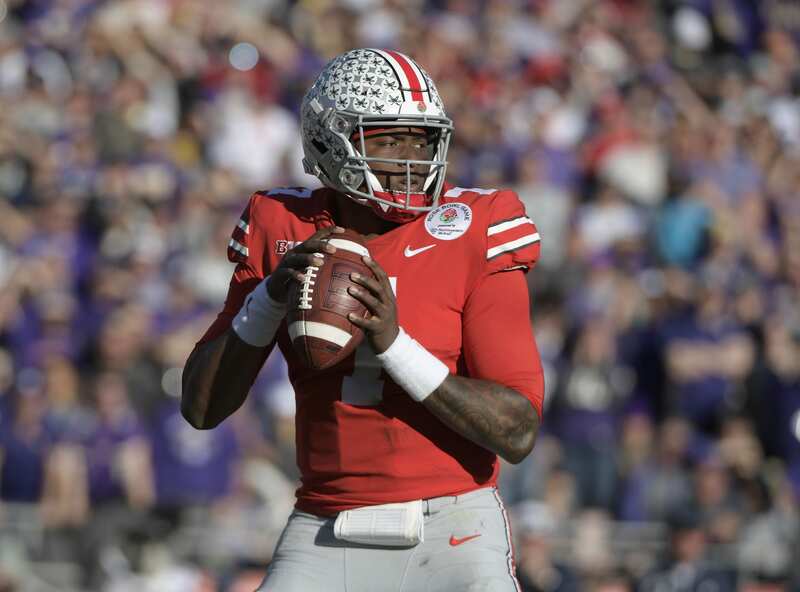 Dwayne Haskins told me this afternoon that he will visit the New York Giants this week. He visited the Washington Redskins and Denver Broncos last week. Haskins has already met with the Redskins and the Broncos but both of those teams would require a trade into the top five, or a trade with the Giants, to get in a position to draft Haskins. Does this say that the Giants are definitely interested in Haskins? No, but at the very least, the option of drafting the Ohio State quarterback isn’t off the table. But if the rumors of the falling draft pick stock are true, that potential draft choice might just be in the middle of the first round with the 17th pick rather than with the sixth overall.